i was wondering what to do with the greens from my beets! I always toss them! Beetroot, beets, in New Zealand are sold with the stalks cut off. I would need to grow my own to get the greens. I love juicing. I use a Breville juicer too. I saw Fat, Sick and Nearly Dead and decided to start juicing. Today’s juice was bitter, tomorrow’s will be better. Well you know it might be fun to grow your own beets! Crazy. I just had this conversation with a co-worker and determined that we would buy a juicer and start juicing and couldn’t remember the juicer she recommended. It’s the same one you recommend! 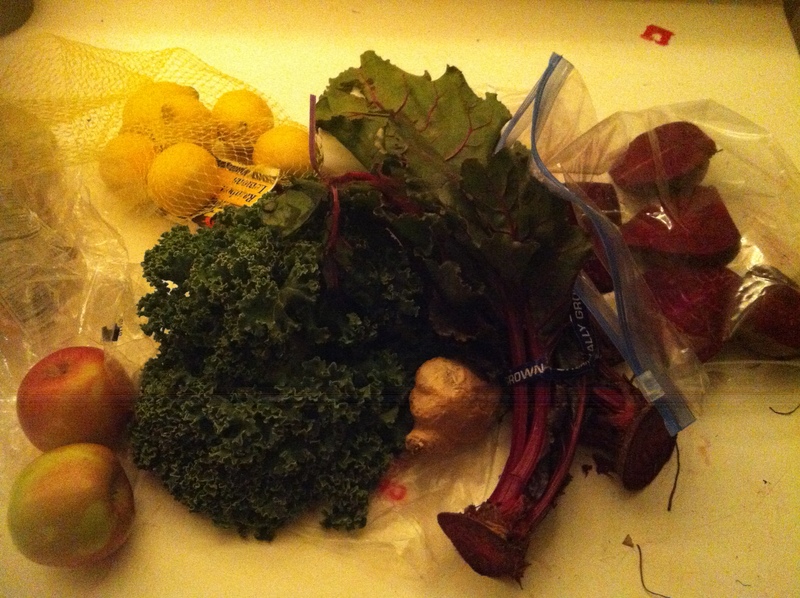 Synchronicity….. okay, okay, I’m going to juice! Thanks for your recipe and your encouraging post! Sure thing! Let me know how the juicing goes – it will heal you from the inside out!